The classic black-and-white cookie you know and love just got a rainbow upgrade. 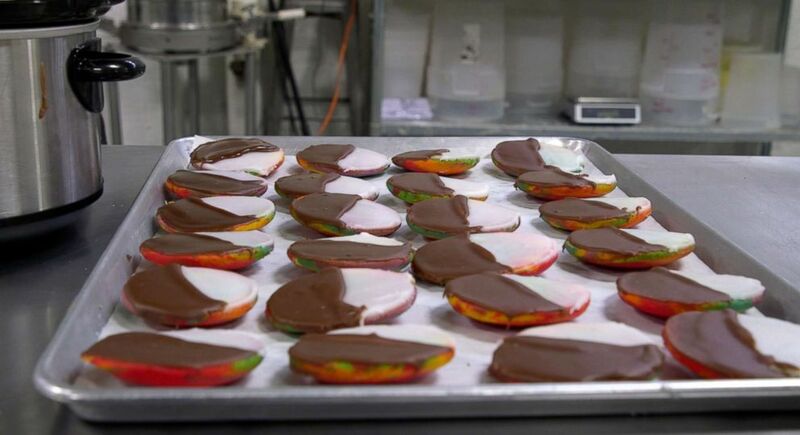 Dana's Bakery has been putting a fun spin on classic desserts since 2012, and its latest creation, the rainbow black-and-white cookie, is no different. All of the rainbow cookies are iced by hand with melted fondant. Dana Pollack, CEO and founder of the bakery, quit her job as photo editor to go to culinary school. There she fell in love with the French macaron, but she found the traditional flavors just weren't cutting it. Pollack created her own line of unique and delicious macaron flavors, including cookie dough, fruity cereal and s'mores -- and they've gone viral. After creating her macarons, Pollack continued to put her own fun twist on traditional desserts. 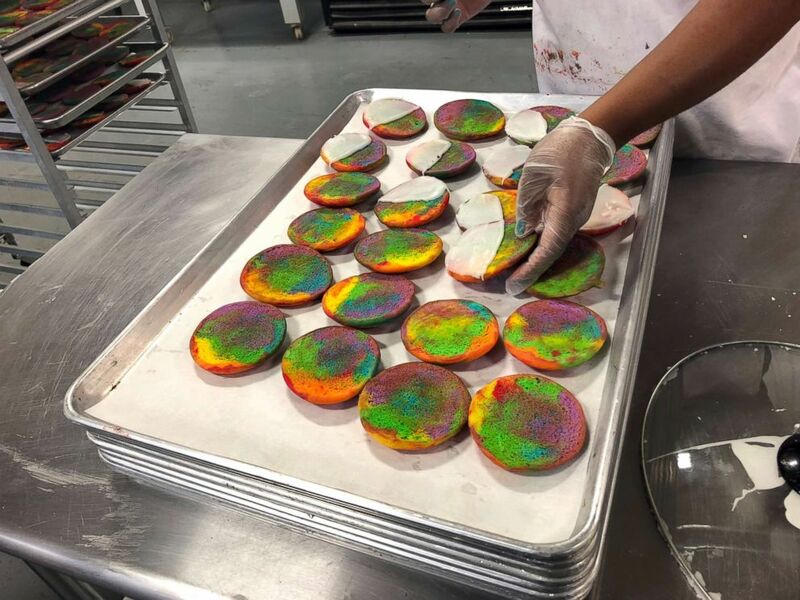 Her rainbow black-and-white cookies, which debuted for Pride Month, are her latest creation. "It's about time somebody kicks it up a notch and makes it a little bit more Instagram friendly," said Pollack, who grew up eating black and white cookies. Dana's Bakery is located in Hackensack, New Jersey and ships all around the country. It's taken her two years to develop the recipe because everything at the bakery is gluten-free and kosher. "We couldn't just make your average black-and-white cookie -- we had to make sure that it tasted good and it had the same consistency as the original cookie," she said. Everything at Dana's Bakery is kosher and gluten free. 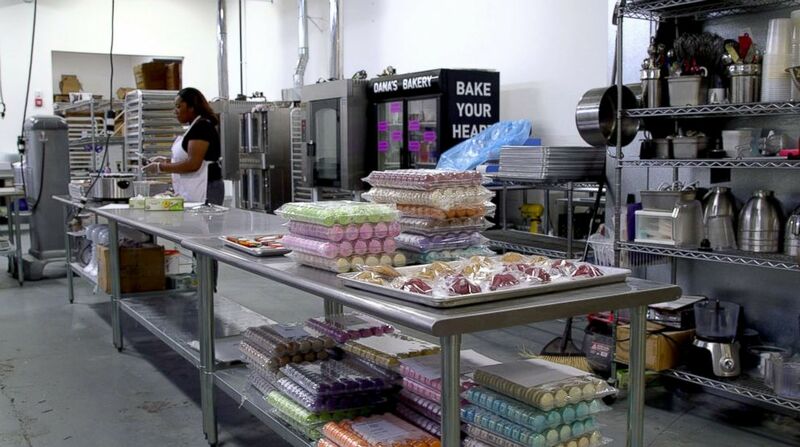 The bakery, located in Hackensack, New Jersey, can ship its treats across the country, and there are two retail locations in New York.